Here in the southwest corner of you will find a variety of New Hampshire fishing. The Monadnock region is home to some outstanding lakes – easy access and nice boat ramps make this region popular with anglers and boaters. Many smaller lakes produce primarily bass, perch and other warm water species. Spofford Lake features rainbow trout, bass, perch, pickerel and pike. The mighty Connecticut River which separates Vermont and New Hampshire is also popular fishing destination. A valid fishing license from New Hampshire or Vermont is required to fish the Connecticut river. 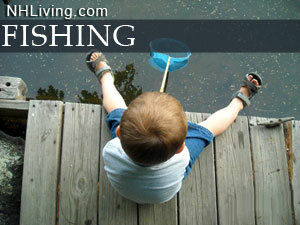 Ask us about NH Fishing or share comments. To feature your business, contact us.